There are strict fire safety regulations in the UK thankfully. Whilst tragedy does still strike, it would be a more common occurrence without our adherence to fire safety laws. Under such law, building owners, landlords, employers or occupiers of a non-domestic premises is held responsible for meeting those requirements of the law. Those ‘responsible’ people must complete certain actions which are aimed at improving fire safety in their premises. This includes every workplace and commercial premises. It also includes anywhere with public access and the shared areas of residential buildings with more than one occupier. Inform tenants or staff of the building of any identified risks and provide information on fire safety training. Keep up the necessary safety measures and ensure emergency response procedures are in place. The damage caused by a fire can be devastating, which is why fire risk identification should be a vital part of risk management strategies. Not to mention the fact that failure to take these actions will result in serious penalties. Th inclusion of considerations for vulnerable individuals, for example children, the elderly and disabled. 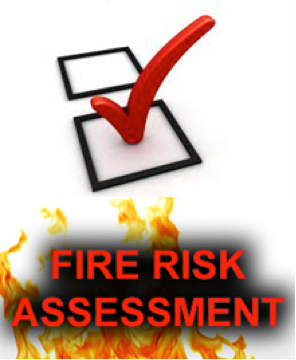 Fire risk assessors will also supply staff or residents with appropriate training about fire precautions. This must include regular updates for staff who have already received the training and initial training for new staff. Fire drills should also be carried out and provide the perfect opportunity to share information about safety and evacuation procedures. For landlords, it’s crucial that there is a full risk assessment that includes information about fire safety provisions and this is usually carried out by a professional fire risk assessor. In the event of an outbreak of fire, a landlord is under a legal obligation to provide escape plan information including details of evacuation procedures that residents must follow to escape the building as safely and quickly as possible.